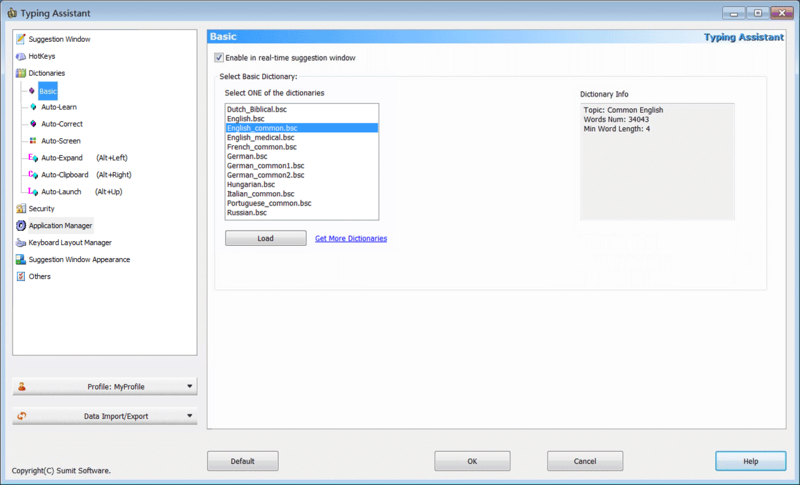 Tick the check box to include basic dictionary entries in real-time suggestions. You can select an available basic dictionary, or download additional basic dictionaries from our website. You can also build your own basic dictionary by our tool Basic Dictionary Generator. You can get this tool on the download page of our website.